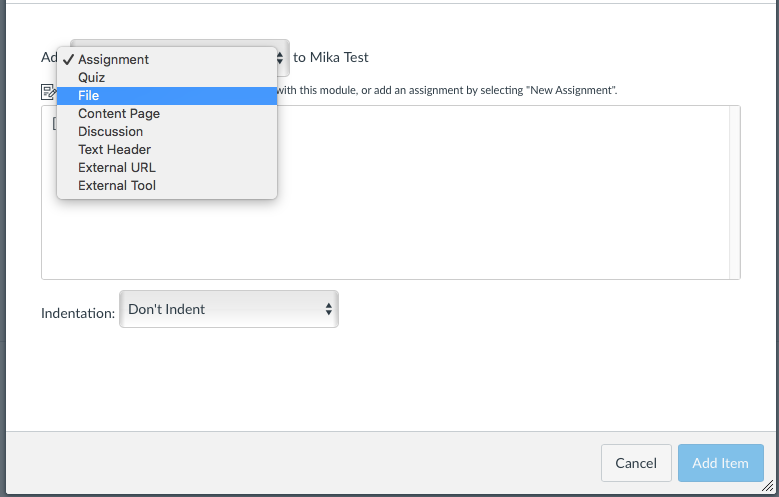 Williams » Office for Information Technology » ITech Posts » GLOW-FAQ » How do I add a syllabus as a Module item? How do I add a syllabus as a Module item? In Course Navigation, click the Modules link if you are not there. Click the Add dropdown menu and select File. Click the New File link, then click the Choose File (or Browse) button. 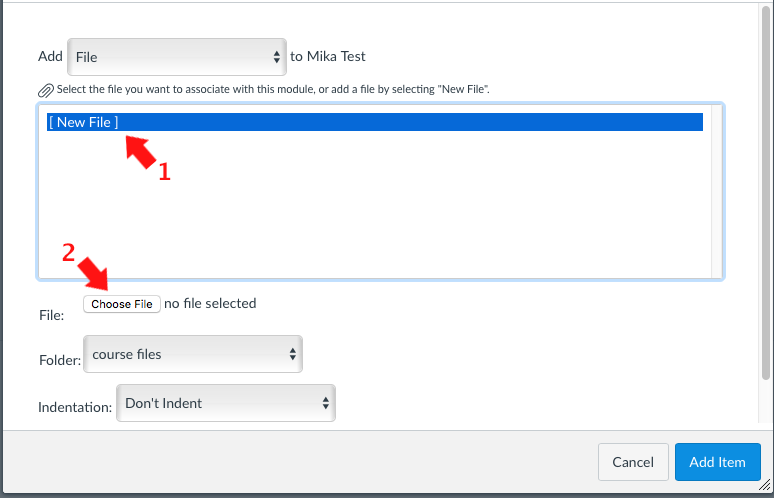 Select your syllabus file on your computer and click Add Item. Your syllabus will appear in the Module.